With the crossover stills/video appeal of recent DSLRs and CSCs becoming increasingly more obvious, it was perhaps only a matter of time before one of the big manufacturers released a model purpose-built for videographers. Step forward Panasonic with its new GH5S. A high sensitivity 10.2MP MOS sensor allows for improve low light performance, while a timecode IN/OUT makes multi-camera shoots much easier to facilitate. The GH5S is loaded with more interesting spec and we can’t wait to put it to the test… possibly for a forthcoming Learn Photography Now shoot! Introducing the Lumix GH5S: an exceptional mirrorless camera for videography, designed and developed for professional filmmakers. Panasonic is proud to introduce the new hybrid Lumix GH5S with expanded video recording capability and enhanced image quality. Designed and developed for professional filmmakers, the Lumix GH5S achieves our highest-ever sensitivity and video image quality in the history of Lumix cameras. The Lumix GH5 was the world’s first mirrorless camera to achieve 4K 60p / 50p video recording and the new Lumix GH5S again establishes a milestone by realising the world’s first 4K 60p / 50p video recording in Cinema 4K (4096x2160). The GH5S is capable of internal 4:2:2 10-bit recording for even stronger colour reproduction, while V-Log comes pre-installed on the camera. In order to make the GH5S tough enough to withstand even heavy field use, it is composed of a magnesium alloy full die-cast front/rear frame and is not only splashproof and dustproof but also freezeproof down to -10 degrees. 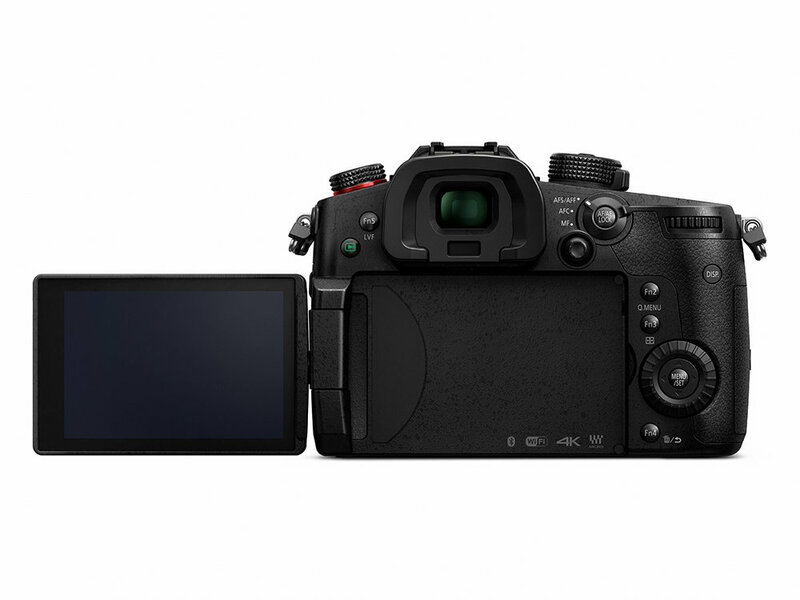 The GH5S is equipped with a dual SD memory card slot, compatible with the high-speed, high-capacity UHS-II and Video Speed Class 60. Users can flexibly choose the recording method from Relay Recording, Backup Recording or Allocation Recording. The HDMI Type A terminal is provided. The model includes Bluetooth and Wi-Fi connectivity to offer a more flexible shooting experience and instant image sharing with easy operation. Compatibility with Bluetooth 4.2 (called BLE: Bluetooth Low Energy) enables constant connection with a smartphone/tablet with minimum power consumption. For Wi-Fi, 5 GHz (IEEE802.11ac) can be selected in addition to the conventional 2.4 GHz (IEEE 802.11b/g/n) for an even more secure and stable connection.